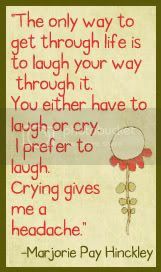 aMusing Monday: WOW, It Is True! I love those scented softsoap shower gels. Not only does it make your skin feel great, they can make bubbles for miles in a jetted tub; and they have an aromatherapy effect that can rival any spa. Really, I can’t say enough about them. Tonight I needed a memory to kick in so I could stop fretting about what to write for the blog. 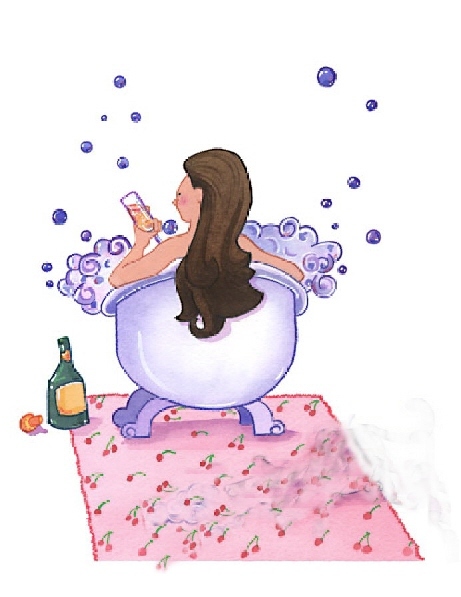 It seems there are two sure fire ways to get my mind in gear and that is a snow storm or a warm bubble bath…….. The bathroom had a heavenly aroma of cucumber with melon and pomegranate oil. The bubbles were at least 18 inches high. The dogs opted out of the bath time show tonight so there were no worrisome whines to get in the tub with me. Nothing at all to cloud the mind. I could not get my head in the game. My mind was blank. It was not long before my eyes came to a rest on the faucet to the tub. I got to thinking about those old television shows and movies. You know, the ones with the hot chickie in the tub and she has her toe stuck in the faucet. How in the world does a real person get their toe stuck in such a large opening? And so starts the stupidity of it all. I tried it. I stuck my toe in and out it fell. It entered my mind that if this were Myth Busters (a TV show about science), they would keep trying until they proved it to be plausible or busted. At that moment, I decided to really give this as much effort as Jamie or Adam would have given it on their show. I schooched down a little bit to get a better angle and poked it back in. Nothing, it fell right back out. I wiggled down more and crammed my toe way in there and left it. It started to feel like it was going to work. I left it for a few minutes longer, then it hit me. If my toe really does get stuck, my husband is going to have to help me get out of it. The first 10 years we were married he thought I was one of the smartest women alive. ( I…am was a fantastic actress ) In the last ten years he has changed his mind. It appears he might be right because the next thing I do is pull my toe and it’s stuck. No problem, I will just relax and it will fall out. NOT. I laid there thinking about this situation I got myself into. I think, maybe it is like Chinese handcuffs. So I push it in further! Yeah, not like Chinese handcuffs. It now hits me I am really STUCK. I can’t call my husband I just can’t! I decide to stand up. That in itself was a little bizarre. Arms and legs flailing in the air trying to stand with one foot stuck and soap bubbles everywhere. Finally, I found myself standing but I was at a loss as to what to do. I thought maybe if I can twist the faucet upward, then I could pour some of that Pomegranate oil in the space between my toe and the metal. To get it facing upward, I had to turn toward the back wall. This was both good and bad. I could now reach the oil at the back of the tub but I found myself in an awkward position when I tried to apply it to the hole. I finally figured it out, poured it in and waited. About that time, the dogs started frantically scratching the door trying to get in. I guess all the splashing to stand up gave them some cause for alarm. I had to calm them down but I couldn’t get to the door to let them in. What to do? Someone was going to hear them and come to find out what all the panic was about. Two minutes into their frenzy, I hear tippy tappy, tippy tappy, footsteps are coming my way. A feeling of dredge over came me with every approaching foot step. I start pulling with all my might to get my toe out. The sound was getting louder and heavier. It went from tippy tappy, tippy tappy, to thump tap, thump tap of dead weight. It was a walk of purpose. A forceful walk on a mission. OMGosh, it was my husband! NO, NO, NO. Terror starts to over take me. It was all I could do not to pee myself and then… time slowed ddd ooo www nnn. I started seeing things in slow-mo and could barely hear the approaching doom. In true Macgruber style, I grabbed the belt to my robe slid it under my ankle and gave it a yank to end all yanks. Power that I have not felt since I was a young adult overcame me. And just as the door knob starts to turn, out it pops and down I go. The dogs rush in frantic and panting. My mind regains its focus and I scrambled to grab my robe when all of a sudden the door closes. I never saw a face. Who ever it was did not even bother to poke their head in. I put my robe on and poked my head out just in time to see my daughter turning the corner and hear her mumble that she was tired of hearing the dogs beg for me day in and day out. “Why do I have to DO everything?” she said as she turned out of sight. Such relief! Not only is my toe free, free, free at last, but my husband will never be the wiser. I have to say this experiment proved VERY pausible! I will never try that again! Now, after telling you all this, I feel I need to get in there and do something smart in front of my husband!